Asus had the busiest day of the year today. Selfie phones, ZenPads, ZenWatches, and Transformer Books aside, the Taiwanese company also found time to make a new ProArt monitor official. It’s the ProArt PA329Q, which is in fact the successor to the PA328Q from last year. If at this point you’re wondering why you should care, well, know that we’re talking about a monitor that delivers 100% of the Adobe color gamut. That’s incredibly important if color accuracy is required for your job description. The wider gamut has been extended from last year’s sRGB. It also now uses a 16-bit internal lookup table instead of 12-bit. 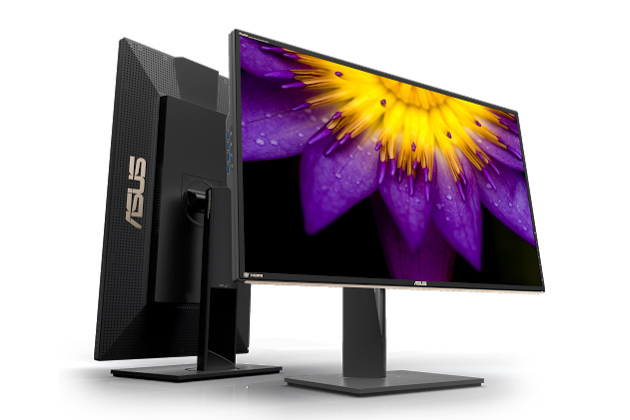 The monitor comes with 4K resolution in the 16:9 form factor, as well as support for the BT2020 / DCI-P3 color space. Other features have remained notably identical to last year’s model. The ProArt has 1 HDMI 2.0 port, 2 HDMI 1.4 ports, 1 DisplayPort 1.2, 1 Mini DisplayPort 1.2, and 4 USB 3.0 ports. It sports the same 10-bit display color. If you buy one, your unit will be factory pre-calibrated, though you can also easily choose to do that yourself if you so wish. That’s because Asus says the ProArt PA329Q has great compatibility with all the major hardware calibrators. The PA328Q from 2014 was sold for $2,200, and we expect its successor to be priced in line with that. However, no details about availability have been shared yet.